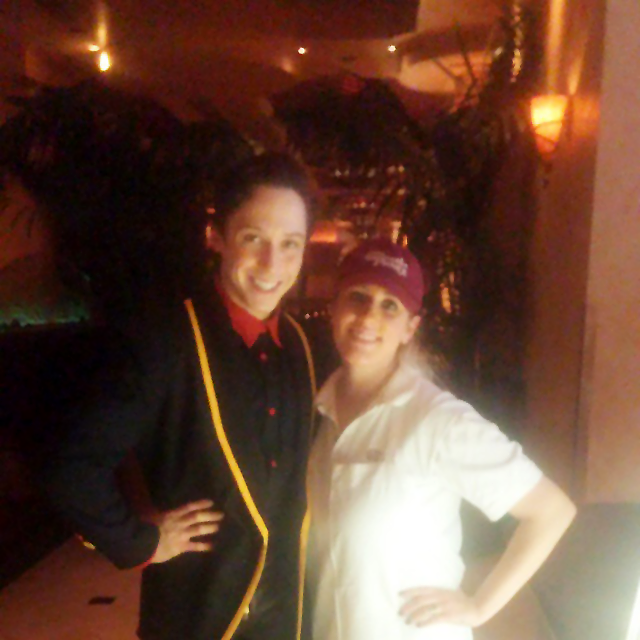 Binky's Johnny Weir Blog Archive: "My Dream Continues"
for the first time for his US fans. AND: a must-see video clip!! “Female Race of the Year” to Katie Ledecky. Yes, there’s video of just his segment! Fab Johnny selfie with Ryan Lochte here! Medal Winners Open in January! Available on demand from EPIX!! in Sochi as an NBC figure skating commentator. a project of Robert Redford’s Sundance Productions. More info here and on the EPIX website. on ice for the whole family” begins December 5! 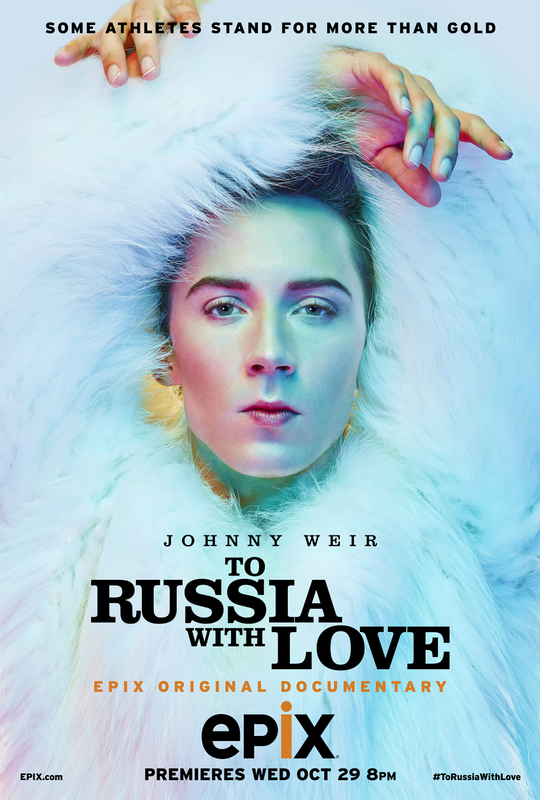 with Johnny playing the role of Kai. 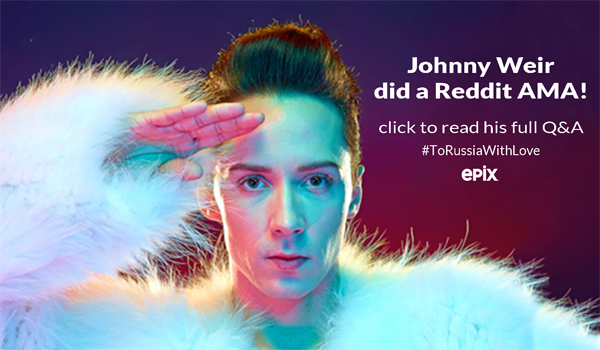 amazing portrait of Johnny in Red Square. The Snow King. Please click for full-size image. Thanks to @PlushenkoNews for the scan! This adorable fan art popped up on Instagram. 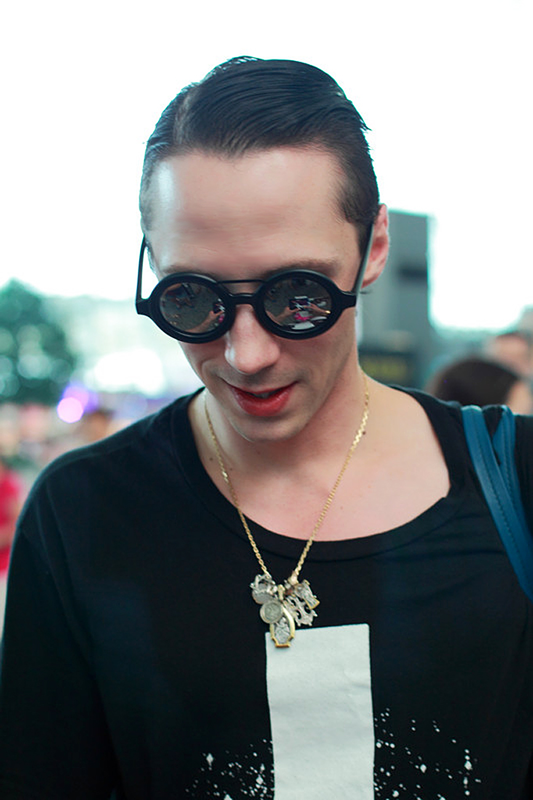 This interview was conducted on 06-06-2014, the day before Fantasy on Ice in Makuhari, Japan. Translated by Maiko Ohtani. 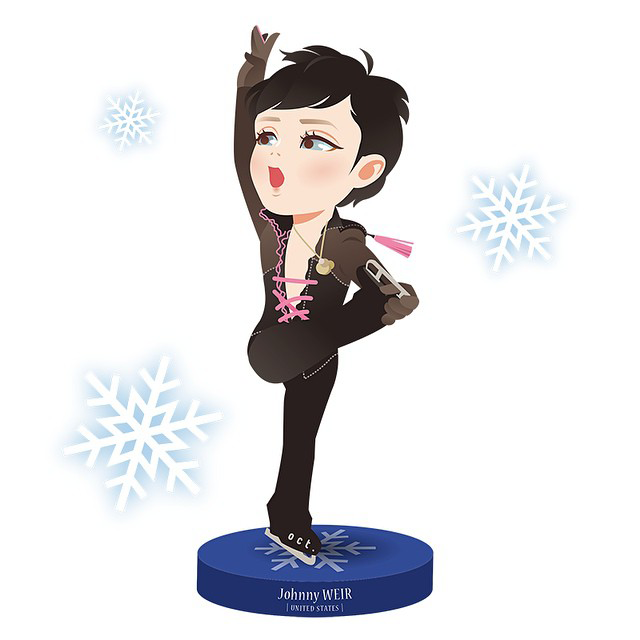 Figure Skating Days: This is your first ice show in Japan after you announced your retirement. What kind of performance are you going to show us? Johnny: Japan has been a very special place for my senior career. I have taken part in shows here in Japan for the past eight years, and I am always working hard to be able to come back. I like it when the audiences have fun and feel something, seeing my performances, which I think is my job as an entertainer. This year I have tried something new, which was to use Bollywood music. 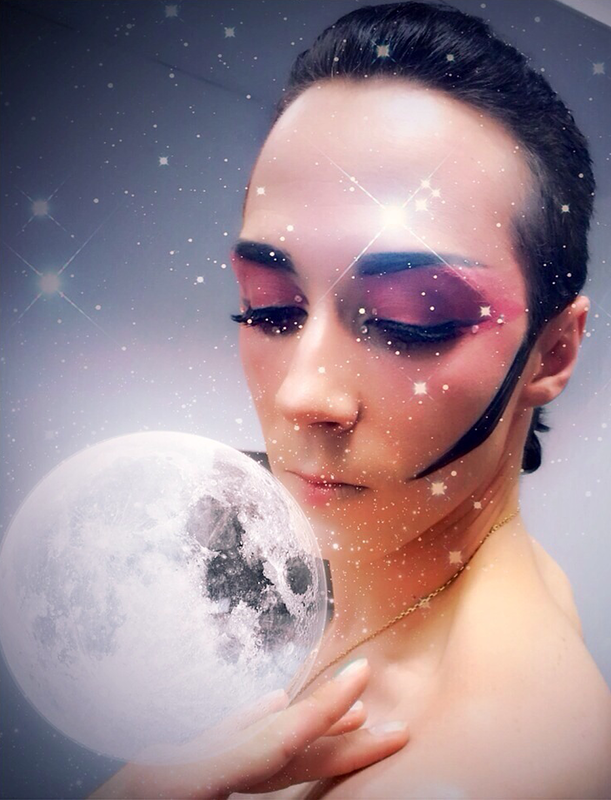 I have never used this kind of music before, but Japanese audiences have always been supportive, so I can’t wait to show another side of myself. It’s kind of like a vogueing and it has lots of unique movements [demonstrates with his arms]. I’m excited to show the costume I designed myself. I think it’s really beautiful. I am also very nervous, but Japanese fans have always been understanding and supportive. They have supported me through good and bad, and they have encouraged me to become better, even now that I’m a professional figure skater. FSD: Can you talk about your decision to retire? I have read your beautiful announcement about your retirement, which begins with “Seventeen years ago…” It was really appealing, but did it take long to write the draft? JW: Yes. [laughs] It might sound like I didn’t put in any effort, but I was crying the whole time I was writing it. It is very hard to hew out a future, and it is difficult to say goodbye to something you’ve devoted yourself to for a very long time, so it wasn’t easy, but being a professional writer myself, I don’t usually find it hard to express my weakness. It didn’t take long at all. [Yuzuru comes in to check on him and they smile at each other.] Yuzuru now seems super busy... Well, about the announcement, I did write it from the bottom of my heart. I think that’s why it didn’t take long. If I had spent too much time on it, I might have read what I had written again and again, trying to make it perfect, but all I did was follow my heart, which made it easy for me to write it. FSD: It was really poetic and impressive. JW: Thank you. I could still cry, reading it. While I was writing it, my face got red and tears just kept falling from my eyes, so my son Тёма, who was sitting there, kept staring at me. I didn’t write it at my desk, but on my bed, putting my computer on the pillows. FSD: Could you tell me why you decided to retire? JW: To be honest, I felt that it was not for me anymore. Now is the era of Yuzuru and Javier. 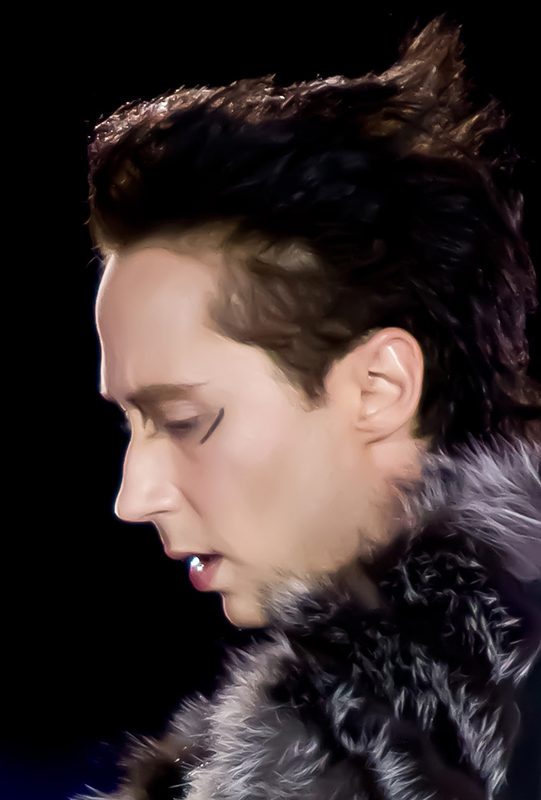 Watching the wonderful performances of all the skaters at Sochi, I felt that my era had ended. To compete as one of the world’s top athletes, you have to put competing ahead of everything else, which I thought I couldn’t do anymore, and that’s why I made up my mind to retire. I still skate every day. I really love skating. FSD: Still, didn’t it take courage to announce your retirement to the whole world? JW: Yes. I felt that it might disappoint the people who had always been there for me these past ten to twelve years, but thanks to them, I’m still skating. Watching the Sochi Olympics, I really regretted that I didn’t participate, because not all the skaters there were able to show their best performances. I thought Yuzuru was wonderful, of course, but I couldn’t help thinking, What if I had skated there too? I was so sad about the fact that I didn’t make it. But the decision was mine, and I am very proud that I made that decision on my own. FSD: After retiring, you seem to have quickly moved on to the next stage of your life, working as a commentator, choreographer, costume designer, etc. Having experienced all that, do you have any messages for Mao Asada and Daisuke Takahashi? JW: Yes, even now. Actually that just happened at home the other day. I was like, “OMG, I’m late!”, but it was the middle of the night. [laughs] That shows that the spirit of an athlete is deeply rooted in me. I just want to tell Mao and Daisuke, who both have wonderful personalities, that there are so many opportunities for them. A lot of Japanese fans will give them support, and with their big support and love, anything is possible. It is natural to feel you want to avoid disappointing your fans, but the important thing is to think not as a figure skater, but as a human being. One of my fans recently told me, “I became your fan from watching your skating, but there are also people who like your fashion and style, so please always be yourself.” I think it’s very special that people like various sides of me. It is very hard to keep a smile on your face in front of people, but what Mao showed at Sochi and how Daisuke made it there with his injury must have moved so many people. Mao and Daisuke have especially touched people’s heart throughout their careers, so I’m sure they have bright futures ahead of them. FSD: Well, about yourself, what are you planning to do next? 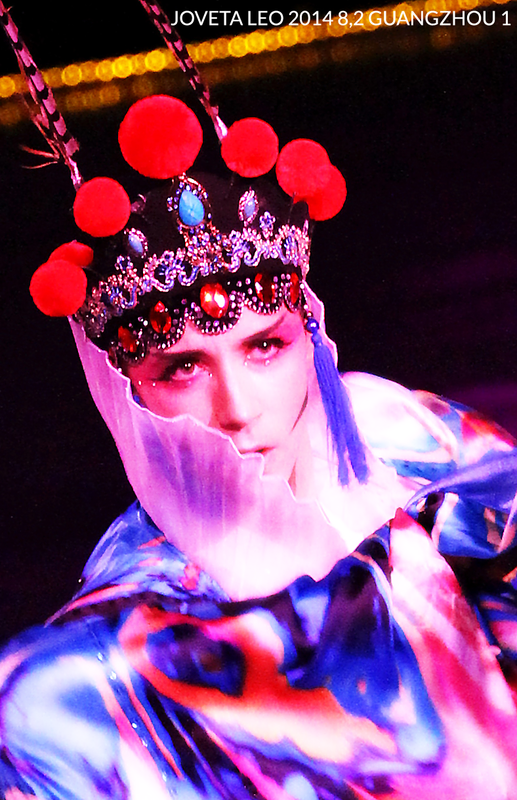 JW: I have some TV projects going on in America, and I want to do some more choreographing. Of course I want to continue to work as a costume designer. 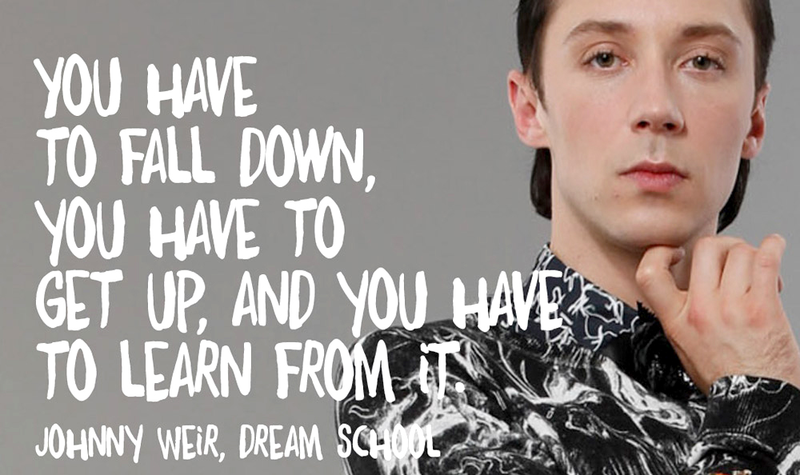 Last season, I designed for four skaters that competed in the world championship, including Yuzuru, Eliska Brezinova, Jelena Glebova, and Alexei Bychenko, and three of them went to Sochi. It was so cool that I have done that much work. I felt so happy and excited to see Yuzuru standing on the podium, wearing the costume I designed in my apartment. As a commentator, I can be different from others, able to comment from my experience of actually competing with the skaters, and I can explain how figure skaters can make their dreams come true. 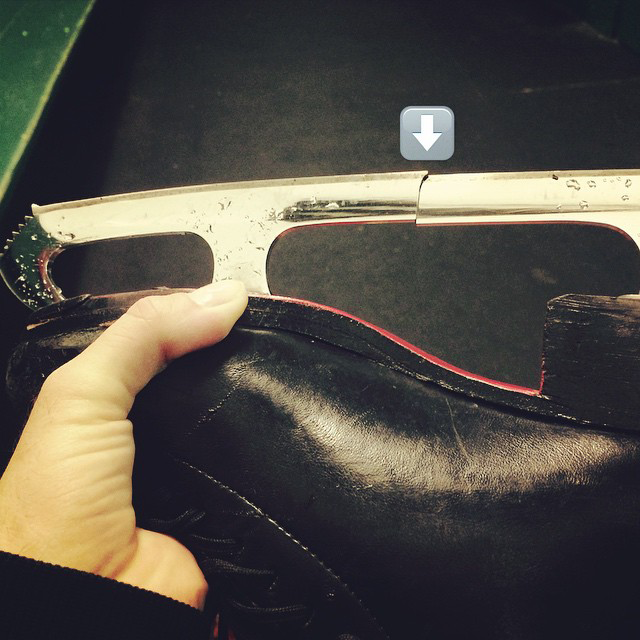 I think that could help people remember the skaters’ performances or come to respect them. Oh, I never say bad things, because I hated having something mean said about me! [laughs] And in the fashion business, I want to make my own sports clothing line, something simple such as black-and-white tights. Anything I do, it’s all up to me, and I love trying new things. FSD: What did you dream of when you started skating seventeen years ago, and were you able to realize that dream? JW: I never dreamed of performing in front of so many people when I first stood on the ice covering that cornfield. I never knew that all this would happen, winning a gold medal and experiencing moments of glory. But fortunately I was able to experience that at Vancouver Olympics. I got a standing ovation from the whole audience and I felt what it is like to touch people’s hearts. I never became an Olympic champion, but that very moment made me feel so special and grateful. My dream continues. I want to make another dream come true, which is to have a happy life. I want to create something fun, to be with my family and to have my own child someday. You can make your life however you want it to be. FSD: Can I ask you about your marriage? FSD: What is the relationship like now? JW: We no longer talk to each other. We are divorcing. I have tried to feel happy about my marriage, just like I do about other things in my life, but it did not work, which I am very sorry about. Now I’m trying to believe that I was very lucky to have a chance to learn from this experience in my life. FSD: What is your everyday life like? FSD: I have seen some pictures of you doing hard training on the floor. FSD: What do you think about the American figure skaters now? JW: I feel like a new generation is replacing an old one, which will take some more time. I don’t really have any particular male skaters I am crazy about, but I like Adam Rippon. He can jump quadruple Lutz and he has been working on his mental side. 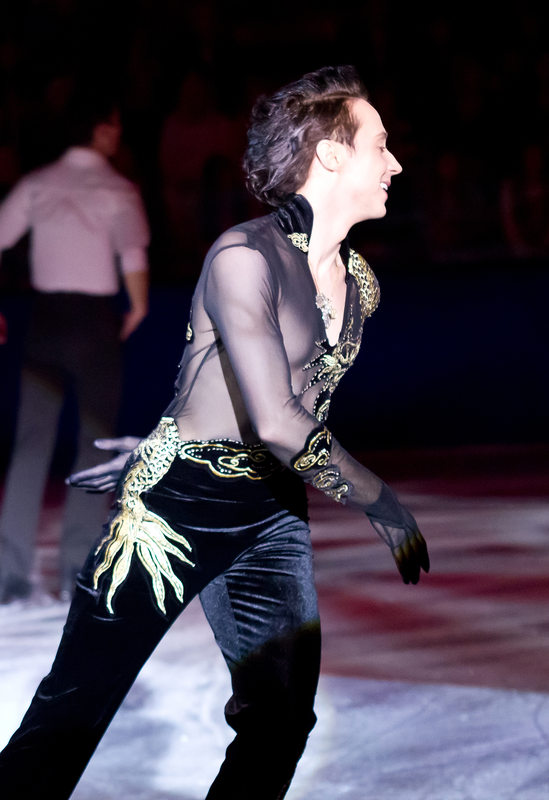 I also like Jason Brown’s performances, and I enjoy watching Max Aaron, too, because he is very powerful. Those three skaters are my favorites. Oh, and I like Richard Dornbush. As for female skaters, I’ve come to like Gracie Gold. She is beautiful and a good jumper. What she needs to work on is skating which connects her to the music and the audience. Ashley Wagner has been the diva on the ice, and there are many young female skaters. America and Russia will have become strong by the next Olympics in four years. FSD: No, it’s not dirty. FSD: Evan Lysacek, who was your long-time rival, retired after the last season. What did you feel about that? And in honor of this wonderful interview, we now present the final set of exclusive picspam from Johnny’s only US performance of his Bollywood program, in Sun Valley, Idaho. Please click any photo twice for the full-size image. 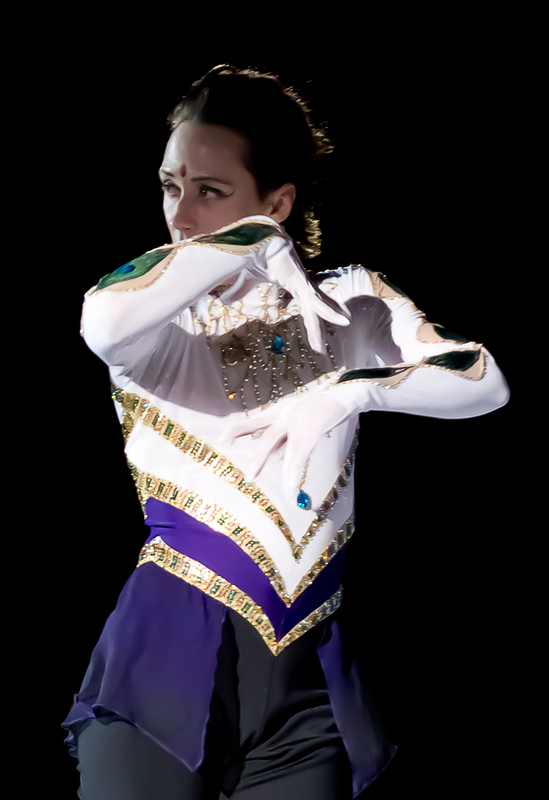 Most are huge, and many especially capture Johnny in motion; I love the movement of this beautiful costume’s peplum as he skates. These may take a moment to load, but, as always, are well worth the wait. for her translation of Johnny’s interview! Johnny’s segment begins at about 30:51.
performance at An Evening With Champions. who have not seen him for two years. A wonderful series of photos not to be missed! given to him by his Chinese fans. plus exclusive video of his practice. and hauntingly beautiful new program. Photo art detail from an exclusive photo © Joveta Leo. segment from Late Night With Seth Meyers! Watch their interview with Seth here. in an exclusive interview with Access Hollywood’s Billy Bush. 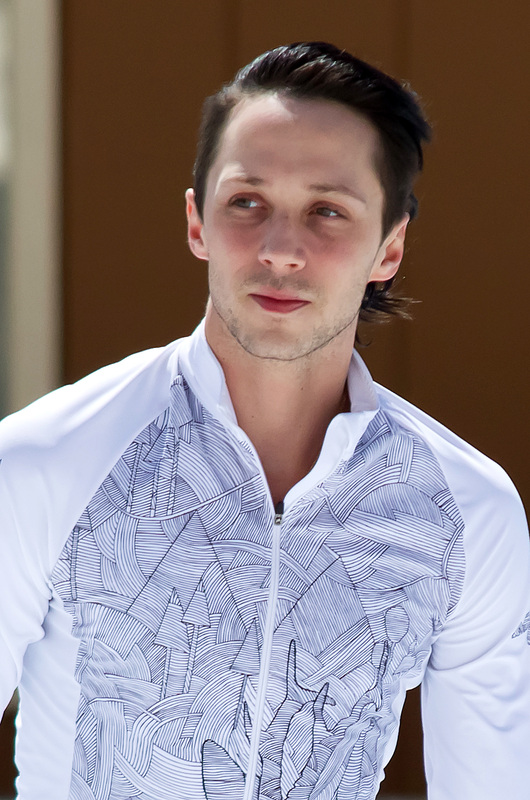 Johnny Weir & Victor Voronov: No Reconciliation! 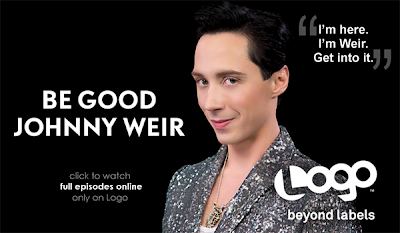 Watch bonus clips online anytime on Logo!